Info also found on our About Us Page. We look forward to riding with you soon! This entry was posted in Chapter News. Bookmark the permalink. 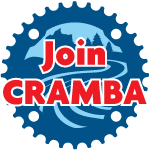 January 2019 CRAMBA Membership Meeting.